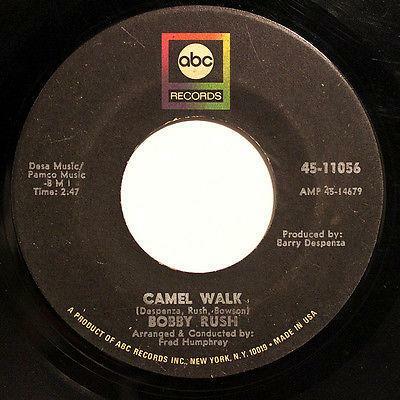 Do you Remember how to do the Camel Walk? Do the Camel Walk! Last week on Reclaimed Soul, host Ayana Contreras played this rare local Chicago Blues/Soul record by Bobby Rush (not the former Black Panther turned Politician) from about 1968. In case you were wondering how to do the then-popular dance, here’s a clip of James Brown asking Sammy Davis, Jr. if he “remembers” how to do it. And he does it. And it’s pretty great. …But, that’s just the tip of the iceberg. James Brown at the time was known for integrating the Camel Walk into his stage show. 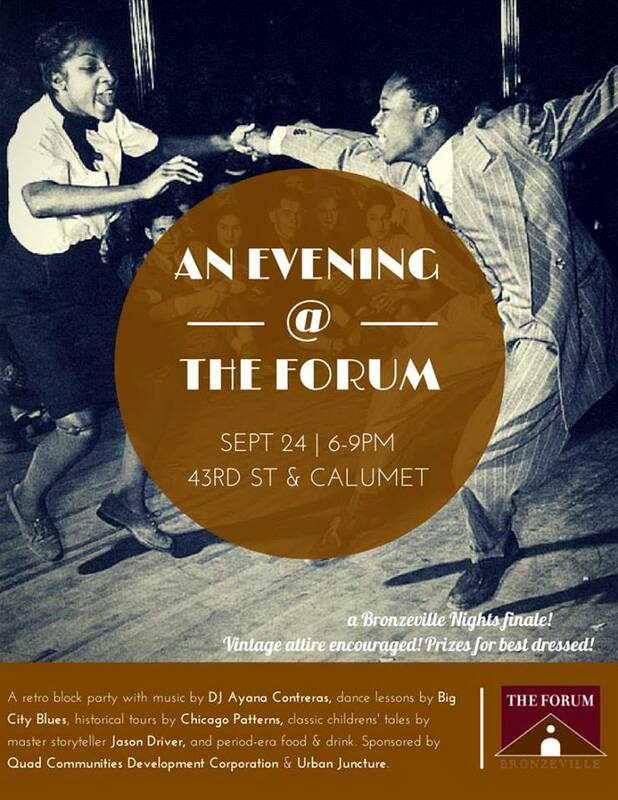 But the dance had its roots way back in the 1920s as a ragtime dance… So, it was retro even in the 1960s. Good things come back around. Or, so they say. Jive on. Chicago is known worldwide for its electrified Delta Blues. Chicago’s also known for its sweet Soul Music. And during the 1960s, those musical traditions combined at Four Brothers, a tiny record label based at a famous West Side Chicago record shop called Barney’s One-Stop. This podcast features some of the hip, soul-flavored blues from the Four Brothers label. Plus, we hear soulful blues from all corners of the city. The label existed from 1965 through 1967. Its sister label was Bright Star. In the late 1960s, Jack Daniels, along with Johnny Moore (another 4 Brothers/Bright Star associated artist and writer) cut a number of hard hitting soul records. In fact, Jack Daniels co-wrote Tyrone Davis’ blockbuster soul record “Turn Back the Hands of Time”. Tyrone Davis had recorded for 4 Brothers under the name Tyrone the Wonder Boy. The House That Jive Built. I collect records. All sorts of records. 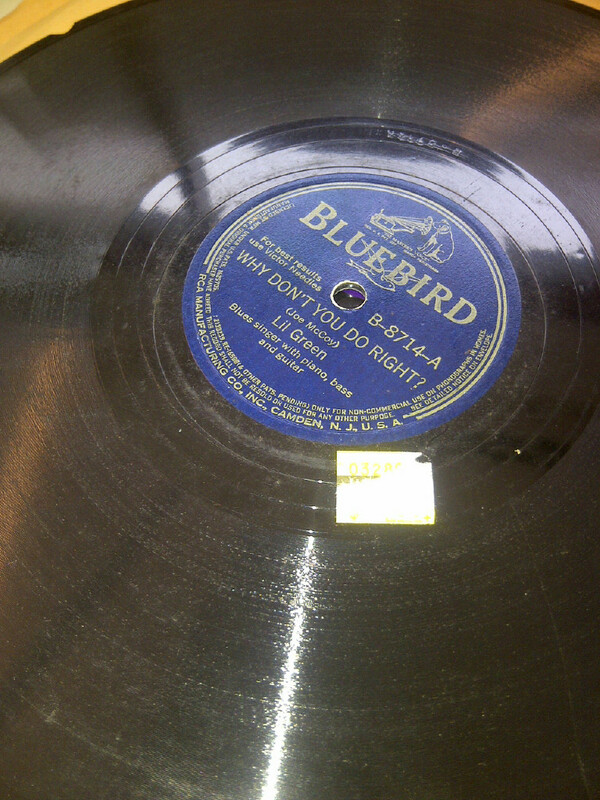 That includes eighty year old records that I play on my Victrola. Often, I am just as interested in the physical state of the record as I am in the music itself. For instance, the label affixed to this label is interesting. 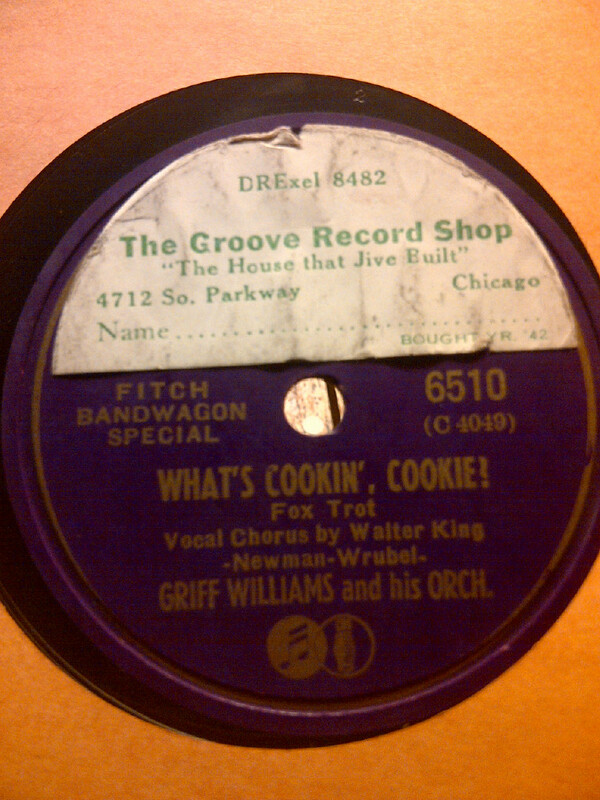 First off, it lets me know this 78rpm was bought during World War II (1942) in the heart of Bronzeville (4712 S. Parkway) at the Groove Record Shop (“The House that Jive Built”). Awesome. Interestingly enough 4712 S. Parkway was (and is) the location of an actual house. To be more precise, it’s the location of a Greystone two-flat. Pretty cool. Also, Griff Williams played at the Stevens Hotel in Chicago, so there’s a rock solid Chicago connection. The Groove Record Shop was located directly across the street from the original Regal Theater, a legendary venue that featured movies as well as marquee talent. The theater opened in 1928. Artists from Louis Armstrong to Jackie Wilson performed there. 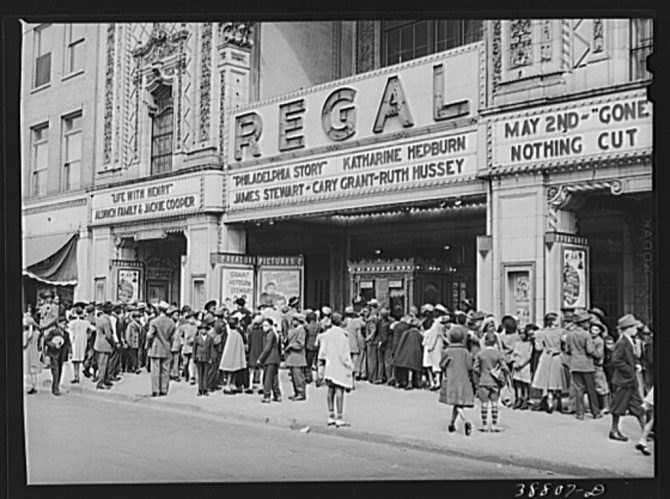 Today, another theater in Chicago bears the name “Regal”. Sadly, the original was demolished in 1970. 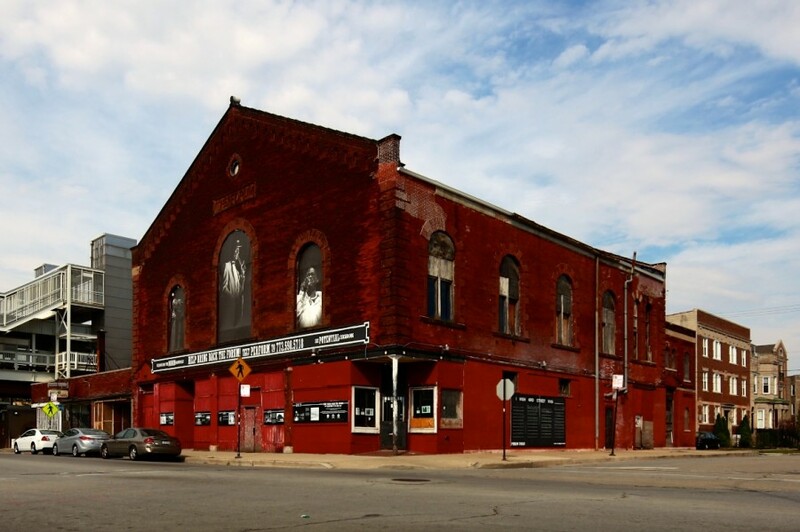 The African-American Cultural Center (AACC) at UIC is currently presenting a Chicago Blues Museum exhibit “The Soul of Bronzeville.” See more images of the “Black Metropolis” and learn about how the Regal Theater played a significant role in the neighborhood development. Below is my audio recap of last week’s 100 Saxophones for Sun Ra. It originally aired on the radio program Reclaimed Soul on Vocalo, 89.5fm and 90.7fm here in Chicago. 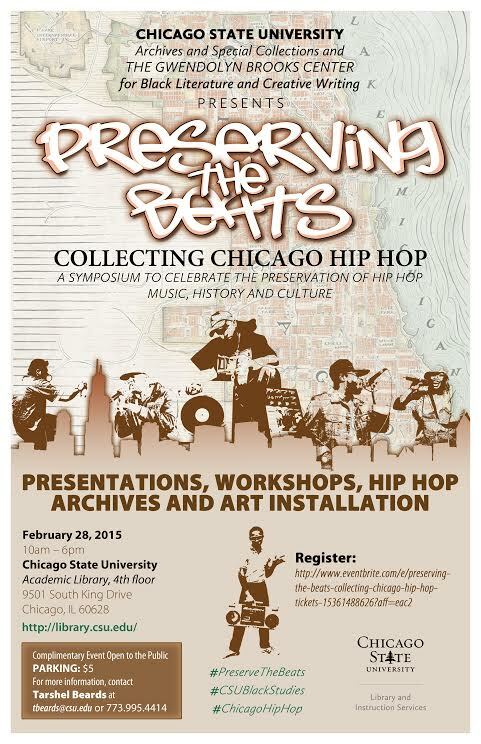 For more about the event click here. I’ve also included a slideshow. Jive on! The music that is currently in rotation (in my head), as excerpted from Leor Galil’s article for the Chicago Reader. 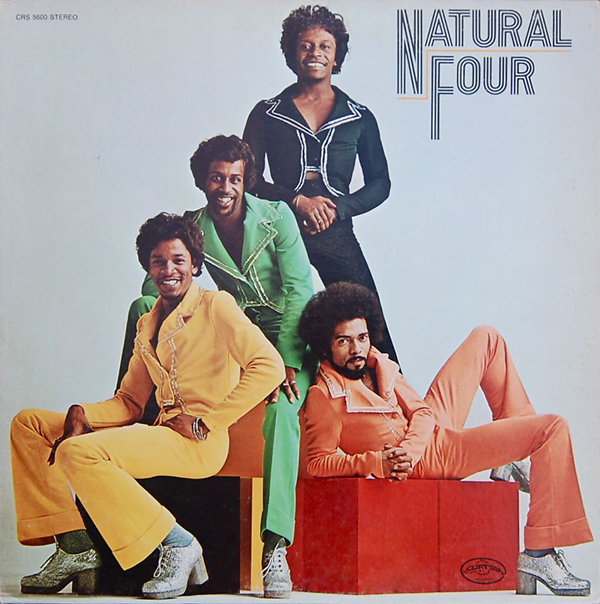 The Natural Four, Natural Four This was released here in Chicago on Curtis Mayfield’s Curtom label in 1974. The Natural Four was a group that came here from San Francisco to record because Chicago was a soul-music center. Unfortunately, aside from scoring a Top 40 hit with this album’s classic lead track, “Can This Be Real,” the group was unable to break through. Natural Four brims with loping strings, aggressive horns, and slinky harmonies. Andrew Hill, Lift Every Voice I collect old Blue Note albums, and I’m often initially attracted to their covers. This 1970 release features Hill’s face superimposed over stars and violet nebulas, and the record itself is softly stratospheric in its energy. 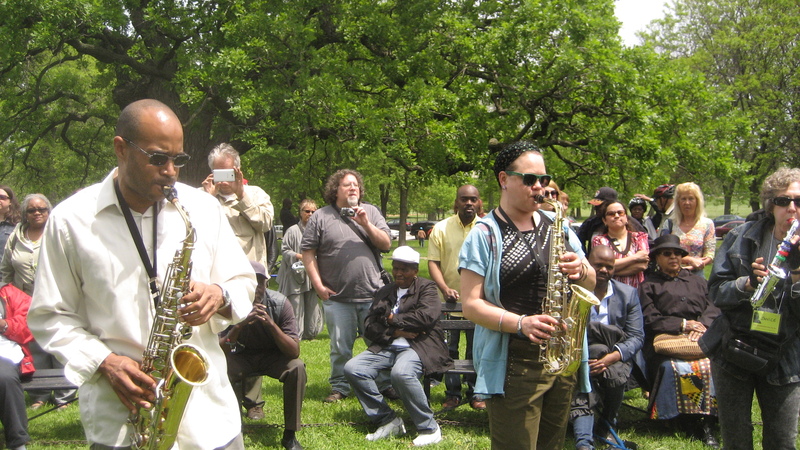 Hill leads a crowd of vocalists and an instrumental quintet that includes Richard Davis on bass and Carlos Garnett on tenor sax. With song titles such as “Love Chant,” “Ghetto Lights,” and “Hey Hey,” the record gently envelops you with a sense of perpetual motion—sometimes it feels like you’re swinging in a hammock, and sometimes it’s like you’re running electrically in the streets. Sunday Williams, “Where Did He Come From“ Sunday Williams recorded this single in Chicago around 1969 for Bill Meeks’s Alteen label, based on Stony Island Avenue. It did OK locally, mainly thanks to the cheery flip side, “Ain’t Got No Problems” (which features the hook “Know what to do with my man, yeah!”). Really, both songs are stellar. But “Where Did He Come From” has a hauntingly beautiful staccato horn intro, coupled with dreamy vibes and a rock-solid bass line. Proof positive that I do listen to stuff that’s not from Chicago, sometimes. For the rest of the article, click here. 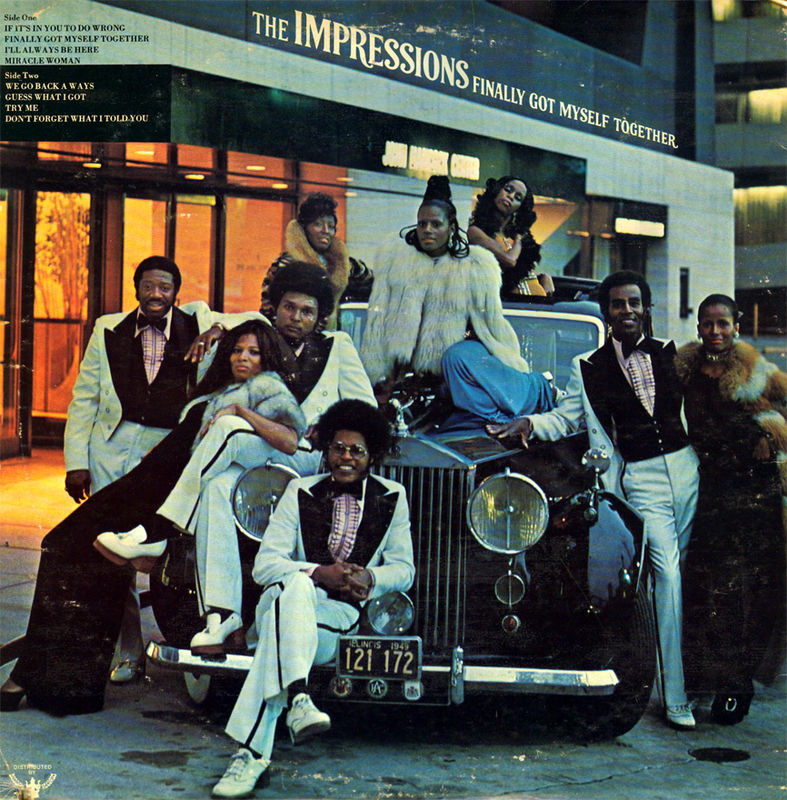 Reggie Torian of The Impressions gives his impressions of Curtom, Curtis Mayfield, and more. In this installment of Reclaimed Soul (sort of the radio version of this blog), check out host Ayana Contreras’ interview with Reggie Torian of The Impressions (that’s him sitting on the bumper of that antique Rolls Royce). 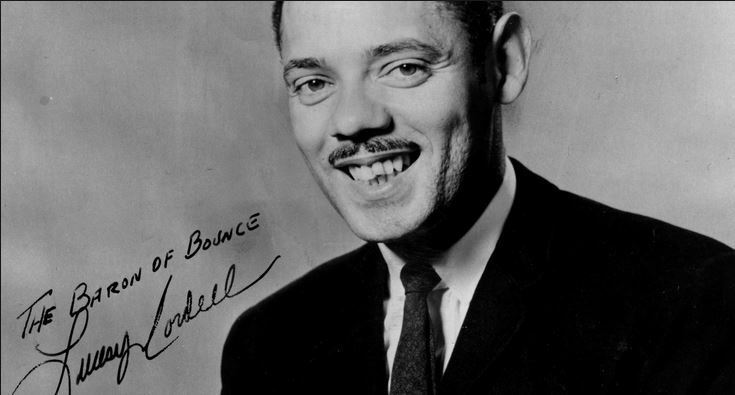 He’s been a part of Chicago’s own Impressions (“Keep on Pushin”, “Gypsy Woman”, etc.) for 40 years. And he’s got a lot to say. He talks about the group, Curtom Records, and more. We also hear some of the music he helped to create. The Impressions counted Curtis Mayfield as both member and principle songwriter during the 1960s and early 1970s before he went solo. 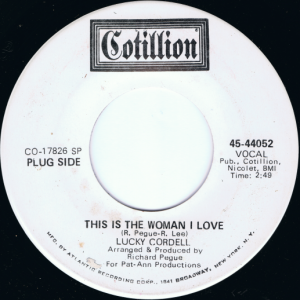 Curtom Records was Curtis Mayfield’s Chicago-based record label that was home to the Impressions for nearly a decade. It was also the one-time label of The Five Stairsteps, The Natural Four, Leroy Hutson, The Jones Girls, Linda Clifford, Rasputin’s Stash, Baby Huey and the Babysitters, The Staple Singers, and more. A bit about Black Rock Bands out of Detroit. 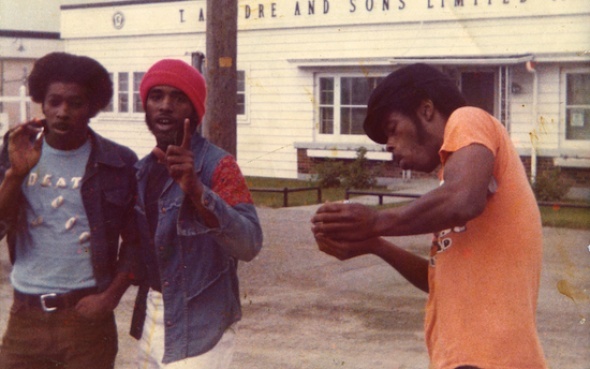 This weekend at Chicago’s Music Box Theatre, I caught a documentary about Death, a 1970s all-black proto-punk band out of Detroit. The documentary, titled “A Band Called Death” chronicled the group’s forming, brush with success, and descent into obscurity. The master tapes of their sole album, recorded under Don Davis’ Groovesville productions languished in an attic for over thirty years. That is until a perfect storm of record collectors resurrected the work, resulting in a New York Times article, a reissue, and a tour. black people in Detroit just weren’t doing rock. Sure, it wasn’t the norm; but I think that the idea that black people weren’t doing rock is an over-generalization. I would argue that early Funkadelic (especially the album “Maggot Brain“) is as much Rock as it is Funk. The wailing guitars melded seamlessly with gospel-tinged organs and sizzling drums into something quite some distance from Motown. Oh yes, and Eddie Hazel is a totally under-appreciated face-melting guitarist. Besides, it’s worth noting that most classic “rock” idioms come from some sort of “black” music (from the earliest Rock and Roll to the Blues). The other refrain heard in the documentary “A Band Called Death” was that the name “Death” was a huge stumbling block in the way of their success. Interestingly, an all-black rock group called Black Merda came out of Detroit and recorded an album here in Chicago for Chess Records in 1970. They worked with another Detroit-based rock artist called Fugi (who also released some singles on Chess). It was by no accident that these folks found their way to Chess. By 1969, Chess had released some unbelievable psychedelic Blues records featuring the label’s biggest stars, Muddy Waters and Howlin Wolf. The backing bands were, for the most part, black (featuring Chicago session artists Morris Jennings, Pete Cosey, and more). Below is a picture of Anthony Hawkins of Black Merda (with “Mary”) circa 1969. 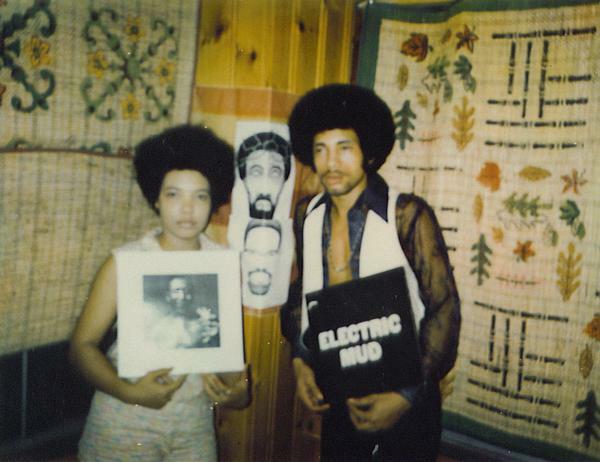 They are proudly holding copies of the two psychedelic blues records by Muddy Waters: After the Rain (1969) and Electric Mud (1968). More on those albums can be found here. Black Merda’s album was released; but didn’t sell many copies. But, I’d credit their obscurity to the subsequent sale and implosion of Chess Records, rather than their death-related name.